I have been coveting this book for a year and for some reason never got around to buying it until now. I recently purchased two copies, one for my own children and one as a gift. 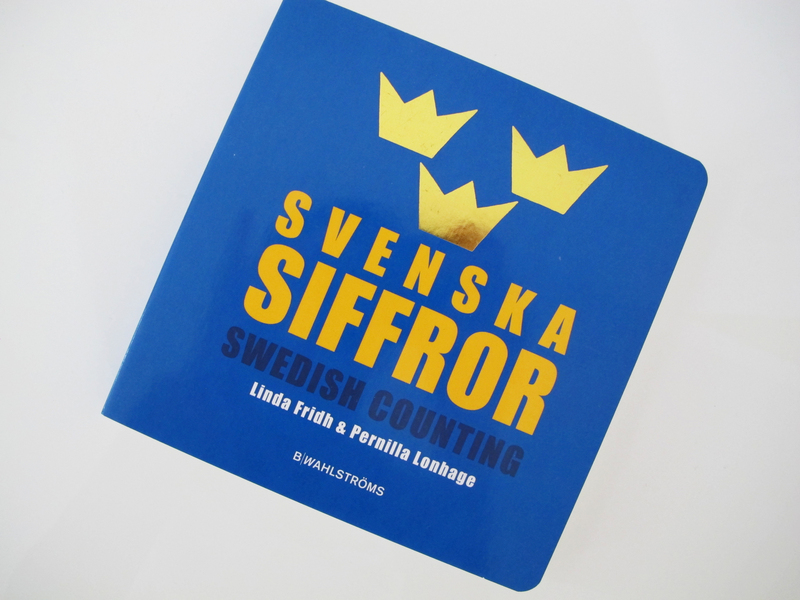 Svenska Siffror (Swedish Counting) is a board book by Linda Fridh and Pernilla Lonhage that is a lovely, basic blend of English and Swedish. 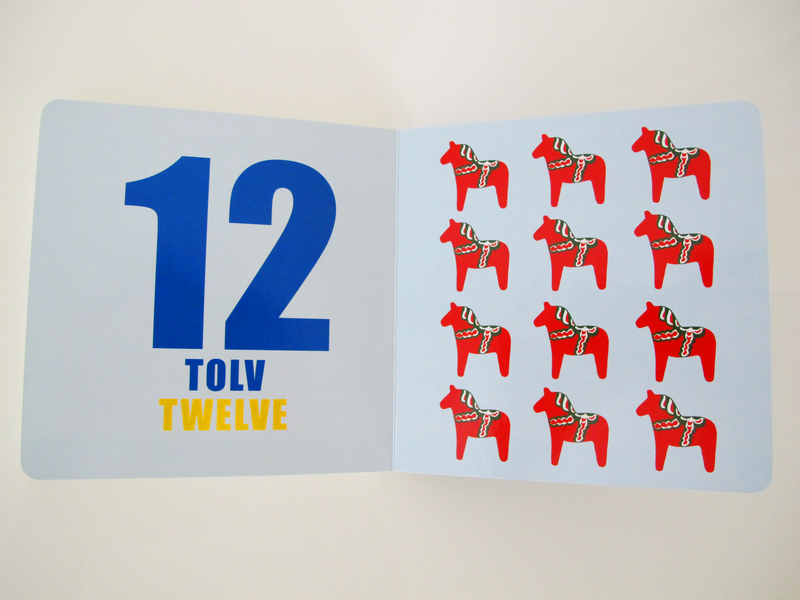 Each page includes a number with text in English and Swedish and the opposite page features symbols of Swedish culture. The book progresses with a maypole, clogs, the three Swedish crowns, moose, a Lucia crown with five candles, Kalles caviar tubes, seven kinds of cookies, Swedish flags, crawfish, gingerbread hearts, strawberries, and Dala horses. A final page includes a small image of each item with Swedish and English text. Published in 2010, this durable book is a great gift for children with Swedish heritage or a connection to Sweden. One of the large Swedish sellers www.bokus.com has overseas distribution to several countries and are currently trying to work out the kinks with shipping to the United States. * I find the connections to Sweden in this book really charming and I’m already wondering who is going to be the next youngster to receive a gift copy from my family to theirs. I just returned from living in Stockholm for 6 months and I miss it desperately. I love reading your blog. It keeps Stockholm close while I am thousands of miles away.